/ Quit Smoking App – To Help You Quit Smoking! 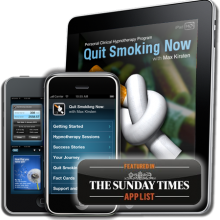 Quit Smoking App – To Help You Quit Smoking! Are you ready to quit smoking? Great! There is an “App” for that! Although with any aid you might choose, including a quit smoking App, none is a miracle to help you kick the habit, but Apps are great, because a majority of individuals these days have their cell phones attached to the hip. Many Quit Smoking Apps track the money you save while not smoking, offer encouraging tips, inspirational quotes, and a community of support with people who are on the same road as you. This quit smoking App sets realistic goals that are attainable, evaluate your current smoking status and adjusts to your needs according. You can choose an option to quit immediately or gradually decreasing your nicotine intake over a few days. Monitor your progress and track each milestone you have reached. This App tracks your moods and nicotine cravings. This is a free App for iPhones, and has been rated 4.5 (out of 5 stars) by close to 300 reviews posted online. Have you counted all the money that you can save without purchasing cigarettes? This little App will be happy to tally all the money that you saved since quitting. Also, keep connected on Twitter, Facebook and emails, and brag about your success and hopefully inspire others to do the same. 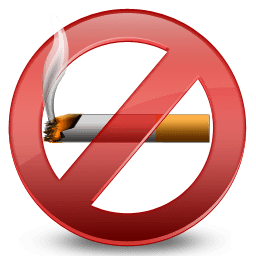 This Quit Smoking App is available for $0.99, and it has gotten high ratings (4.5 out of 5 stars) with just under 250 individuals posting reviews.After you enter your smoking information, you will be provided with information regarding your financial savings, health, life expectancy, and other types of statistics that may help you stay on tract with your smoking cessation goals. This Quit Smoking App is free with the Android phone, and with over 600 reviews and a rating of 4.7 (out of 5) it seems to be something to seriously look in to.Not only will you be provided with statistics, but also a game to distract you and get you over the nicotine cravings. This community is waiting for you, and they are only too happy to provide you with inspiration and support, as you reach your smoking cessation goal. This free App has yet to be reviewed or rated, but there is nothing to lose (but a bad habit) by giving it a try. This App provides you with relaxing music to meditate by in 5, 10, 20 or 40 minutes sessions. Upgrades to this App are available for a fee.